Miso, a six-year-old golden Labrador retriever, helps to raise future service dogs at home with Dr. Fran Vlasses, a Professor in the Marcella Neihoff School of Nursing and a volunteer puppy raiser. In addition to the staffing the library Service Desk on Thursday for consults from noon - 1:00 PM he also works part-time at Edwards Hospital. In his spare time he loves playing catch, cuddling with friends, and socializing with his many girlfriends. Come and meet Miso for a guaranteed smile. He is looking forward to seeing you in the library. 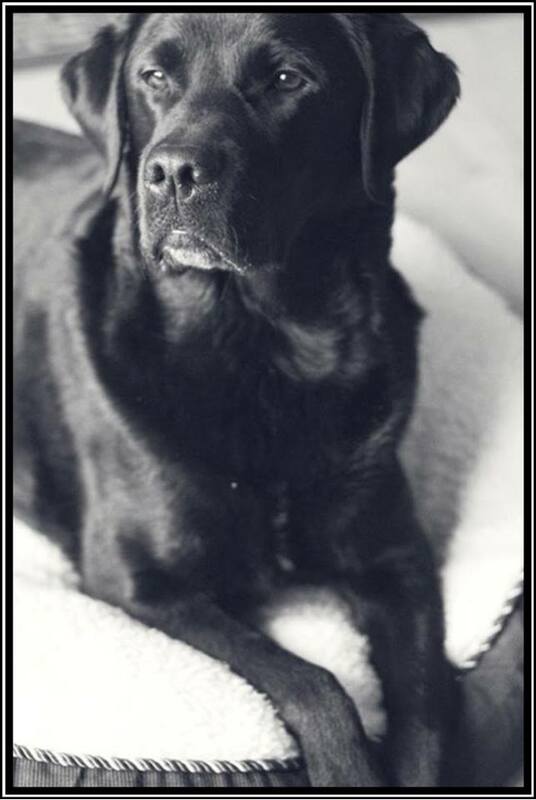 Soren is a black Labrador Retriever and was bred, trained and worked as a service dog through Canine Companions for Independence. He can pick up anything that is dropped and deliver it where ever his handler tells him to, open doors and drawers, and turn on and off light switches. 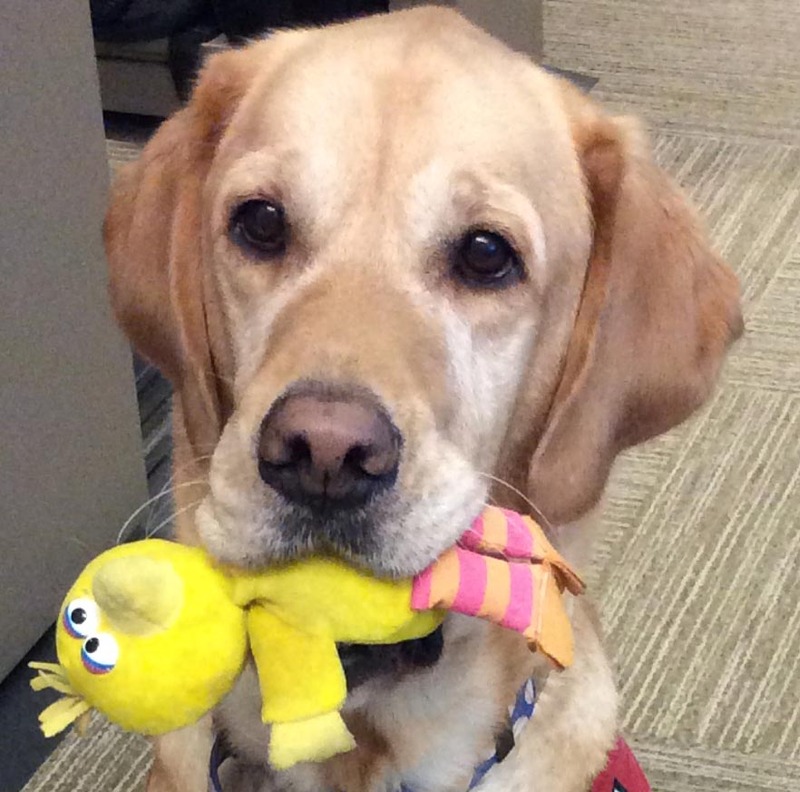 Now retired due to a medical condition, Soren looks forward to getting to know and interact with library visitors. Soren was the first Dog in Residence at the Health Sciences Library.